-The Roman Numeral IX signifies that this is her ninth avatar, having died eight times previously. -Though Aphordite is confident in her skills, she by far isn't the best player in the game. She however is quick on her feet and has a very versatile skill set. -Aphrodite considers herself a Mercenary of sorts. Assuming you have enough credits to pay her, there wasn't much she wouldn't do. This has earned her the ire of the Gunter Community on occasion when she sided with IOI for money. -Her skills don't lay solely in combat . She has on several occasions helped people level, complete dungeons, solve puzzles, pretty much anything you can think of in game. Assuming you could pay her of course. 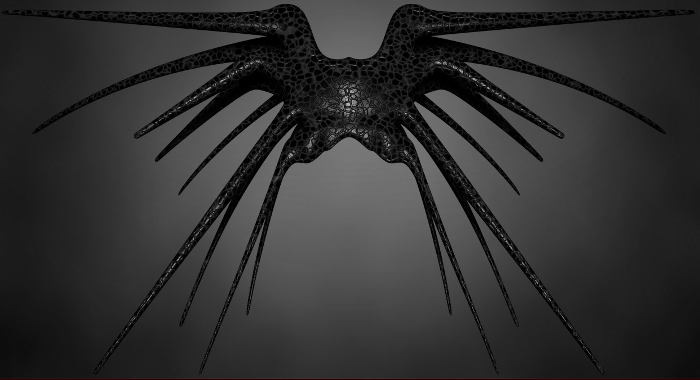 Easily distinguished by its spiny, almost spider like shape and its constantly undulating black skin, Shadow vessels are known to have a deeply unsettling effect on sentients and can somehow project a scream like noise into the mind of any that get near it as it goes by.